It’s that time of year again! The NFL Draft! Dolfans NYC makes a yearly trip to the draft that has grown every year. It’s a really fun event that is a fantastic way to talk football again. It has become one of the highlights of the Dolfans NYC calendar! The NFL Draft takes place at Radio City Music Hall which is pretty much walkable from our bar Slattery’s Midtown Pub and we love to make a lot of noise and talk smack to all the other fans of other teams. Especially the Jets! We need to come out in force again! Tickets to the draft are totally free but you do have to wait in line but the cool thing is waiting in line is one of the most fun parts of the draft. You just hang out with football fans all day and smack talk and have a good time. I honestly think I love it more than the actual draft! Important to note. This year Michelle has a new baby and is going to be in Miami during the draft. I am going to be in a wedding this week/weekend and don’t have any time to spend as much time answering questions and responding to emails. So follow instructions carefully and you will get to watch the draft with us. THE DAY BEOFRE THE DRAFT – Wednesday May 7th: On Wednesday we will be waiting in line to get wrist bands to get tickets the draft. The NFL starts giving out wrist bands at 7pm. We will be meeting at the fountain on Avenue Of Americas between 49th and 50th street at 5pm! We will be heading to get in line RIGHT AT 5pm! DO NOT BE LATE! If you see everyone already in line DON’T PANIC. They give out tons of wrist bands on Wednesday night so as long as we get in line we will get into the draft. Even if the line seems impossibly long, don’t stress, you will get a wrist band. Also, if you can’t make it by five, just get in line and get a wristband. As long as we are together on Thursday we will get to sit together. 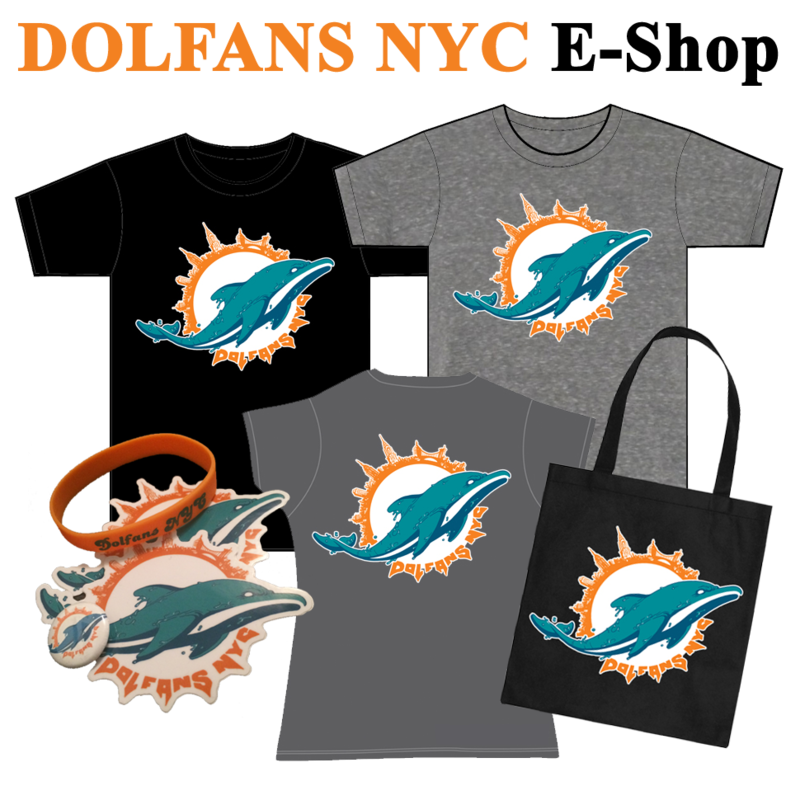 Wear your Dolphins gear both nights! We need to represent! And make sure you go to the bathroom and or bring food. You can’t leave the line once you get in it! Round 1 – Thursday May 8th : This is the important part. Once you have a wristband they assign tickets by group in a random order. This means that as long as we are together in line we will get to sit together. Last year we had to do two different groups but we traded seats out and figured it out. But the important thing is that we are together. You are guaranteed a seat with a wrist band so once again DON’T WORRY ABOUT THE LINE! We will be meeting at the same fountain on Ave of the Americas (6th Ave) between 49th and 50th again at 5pm. DO NOT BE LATE! This is important! We need to all be together when we get in line so that we can sit together! If you show up late try and find us in line but you probably won’t be able to join us. Make sure you remember the NFL’s terrible Clear Bag Policy and don’t bring any bags or purses or anything that can’t fit in a large zip lock bag. Day 2 & 3: If you want to go to any of the other rounds of the draft it’s pretty easy. We aren’t doing a big get together but after the draft on Thursday you can get in line to get a ticket for Day 2. Day 3 is even easier. They are pretty much begging people to go so you just walk up on Saturday and you will probably even get a great seat. Now check out this video from our draft trip last year and Go Dolphins!! Ps. #MetLifeTakeover 2014 info coming soon! We can’t do much until tickets go on sale, but trust us, we are on top of it! This entry was posted on Tuesday, April 29th, 2014 at 12:34 pm	and is filed under Events, Video. You can follow any responses to this entry through the RSS 2.0 feed. Both comments and pings are currently closed.